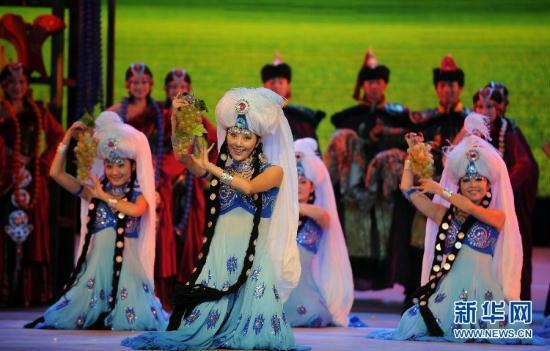 The 9th National Dance Competition was held on Tuesday in Yinchuan, capital of Ningxia Hui Autonomous Region. Winners were honored with the country's top award for dancers, the Wenhua Awards. The theme of this year's competition was folk dance. 165 dancing groups were chosen nationwide from nearly a thousand candidates. Solo dance, dance pairs, and groups. Six performances shared the victory, each taking home their own Wenhua Award. Two other groups were honored in the category of Creativity... The Wenhua Awards were first awarded to stage artists in 1980. Many outstanding dancers and choreographers in China's contemporary dance scene were participants of previous National Dance Competitions.